What a cute and sweet card! What a CUTE Father's Day card Jen, love it!! The banners flying from the back of the planes is such a great way to add the sentiment, Jen. 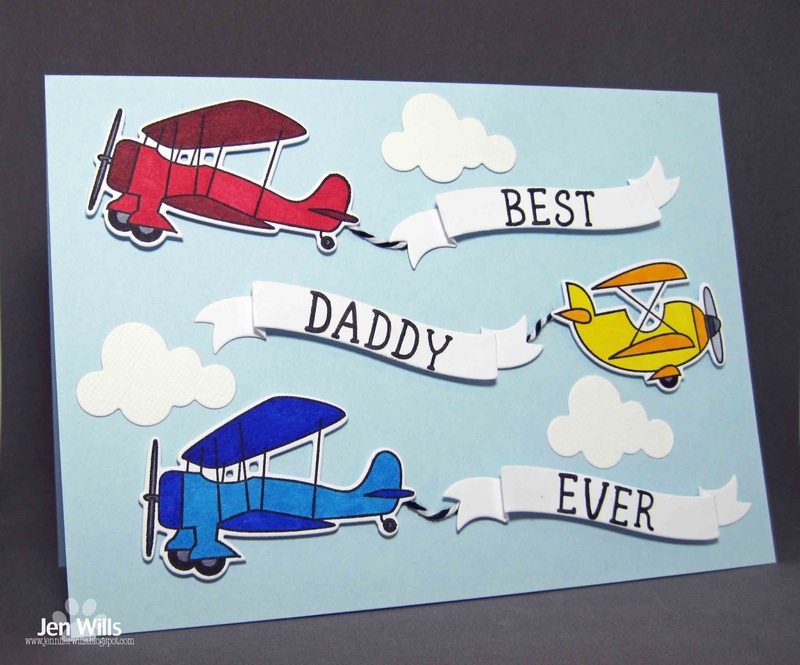 Super cute and perfect for the little guys to give to their daddy. Love the colors and the way you've broke up the sentiment on each plane! 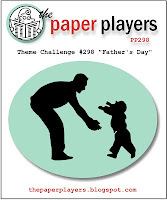 thank you for joining us at The Paper Players! Your card is STUNNING Jen! 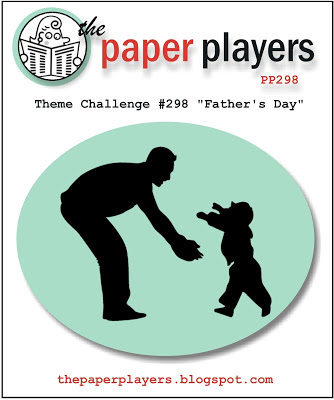 Thanks for joining The Paper Players! Love your card and sentiment!! I love those planes! And this card. LOVE this, Jen. It's FABULOUS and so super creative! I would love to have you share this with us at these two challenge blogs. They're both always Anything Goes, and you can win some awesome prizes at both challenges. I really hope that you will stop by and link up with us.